Partnering with Perfect World, Square Enix has launched Final Fantasy: The Awakening in China today. 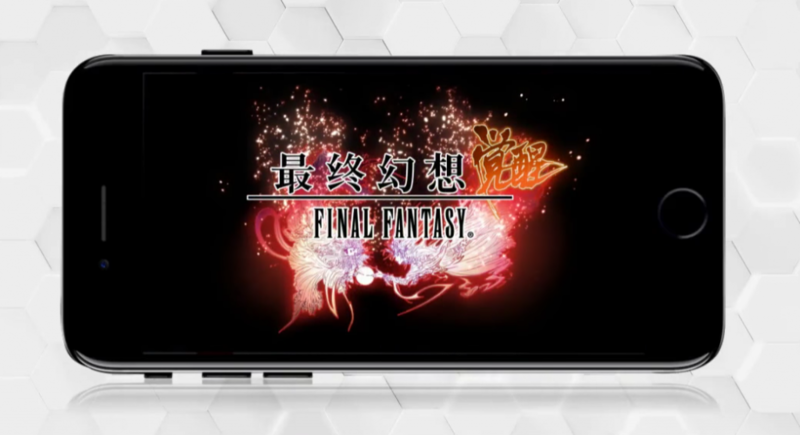 Developed for smartphone platforms and Microsoft Windows, this multiplayer title is based on the world of Final Fantasy Type-0. In the video below, Chinese singer/actor Lu Han promotes the launch of the title in China, where we can see a bit more of the new gameplay. Perfect World also plans to bring the game to other Asian markets, and a worldwide launch is still planned as “Final Fantasy Type-0 Online”. You can also check it out on the Chinese iTunes store. Final Fantasy Type-0 Online originally launched in Japan as “Final Fantasy Agito”, but due to overwhelming negative feedback from players, Square Enix decided to shut the game down to work on a “reborn” version. Titled “Final Fantasy Agito+” for PlayStation Vita, the game never properly released due to technical problems. Later, Agito was revealed as Type-0 Online at Tokyo Game Show 2015, which showed off a dramatically reworked format. It’s kind of funny to see a game featuring the Type-0 universe end up as a mobile multiplayer game, because, the original game based on the project — I’m referring to Final Fantasy Agito XIII — was more aligned with Type-0 Online than its eventual console-based single-player affair. Time is a flat circle. Posted in Final Fantasy Type-0, Final Fantasy Type-0 Online. I guess localization would never gonna happen with this one. I would have agreed with you like 5 years ago. But if you look to laat year, we in Europe got almost all the mobile titles from SE, only with a little delay with Japan. Why waste their time in this? stop killing Final Fantasy, please. No one asked for that mobile crap. Type-0 was good on it’s own, we don’t need anything else! But this one seems like it’s China-exclusive. umm i know a lot of people that wanted to play that sooo…. This looks awful and Luhan definitely isn’t helping. Well development is being done by another studio and is currently only for China and later in Japan. It’s something some people want and those who don’t can turn around and not play it.